With the growth of online operations and digital data storage, data centers have become a necessity of modern existence. As with any new industry, there are bound to be growing pains, and environmental concerns are certainly among them. Just think back to the rampant pollution of the industrial revolution. People wanted the conveniences new power sources could provide, but at what cost to the environment? Although the digital revolution has not produced the same level of visible pollution as the mass burning of wood and coal during the switch from manual to machine labor two centuries ago, still there is an environmental component that can’t be ignored. Data centers that are poorly configured and managed are among the worst offenders. According to the EPA, data centers pose multiple environmental threats. For one thing, they demand a lot of power – an estimated 3% of global electricity draw, which doesn’t sound like much until you realize it’s more than the entire UK consumes. What’s worse is that these centers are inefficiently designed and managed, meaning there’s a lot of unnecessary energy waste going on. Perhaps even more troubling, however, is the volume of e-waste produced by data centers. These facilities have to stay up-to-date in order to maintain security and competitive edge, and this could entail frequent equipment upgrades. What happens to old equipment? In many cases, it simply gets dumped. 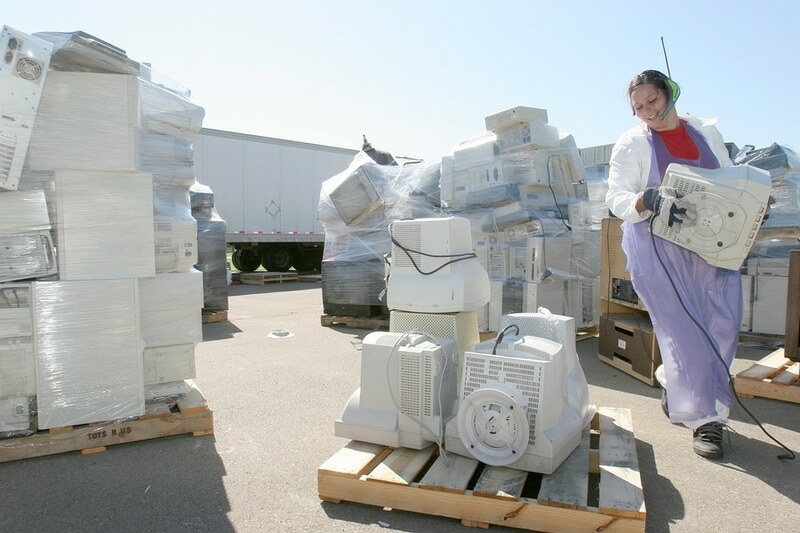 The EPA estimates that e-waste is now responsible for 2% of all solid waste, and more disturbing, it accounts for a whopping 70% of toxic waste. A lot of computer equipment, especially older models, contains toxic materials like mercury, lead, cadmium, and beryllium. Recycling can reduce the amount of these hazardous chemicals polluting the environment, but many data centers still don’t bother with environmental measures like recycling. The biggest issue with most data centers is that environmental issues barely register as a priority, and they come in far behind security, performance, and connectivity. A Supermicro survey of 361 respondents found that only 59% even consider energy efficiency when planning a new data center, while 58% have no idea what the Power Usage Effectiveness (PUE) rating for their facility is. Of those that did know their PUE, only 6% had optimized. Then there’s the issues of money and time, and many data centers don’t want to spend either on finding ways to increase efficiency, much less create recycling policies. With the right practices and policies in place, however, data centers could not only increase efficiency and reduce environmental harm, but also cut costs. Google and other mega-data centers optimize religiously and pay close attention to PUE. It has also been found that cooling data centers to near refrigeration levels isn’t as necessary as it once was, thanks to advances in technology, and this can greatly reduce energy usage and waste. Businesses that want to be green can do a lot by simply looking for data centers that prioritize energy efficiency and proper e-waste disposal and recycling. However, eco-conscious business owners in and around Sioux Falls, SD can also do their part for the planet by partnering with a certified ITAD service provider like SEAM. Contact SEAM today at 605-274-SEAM (7326) to learn more about responsible data destruction and recycling.